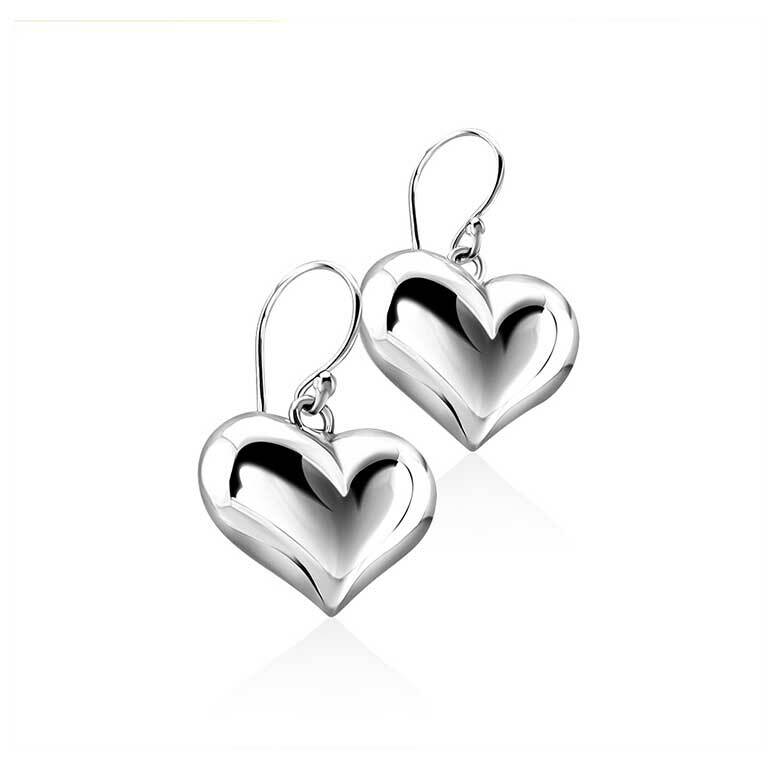 These small Sterling silver puffed heart are super cute, no matter you age or your style. They have a simple but and stylishly retro design, meaning they work well with everything, giving an extra touch to your outfit whether it's evening wear or casual clothing. Top tip: you can add these heart earrings to your own collection, get matching pairs for you and your best friend, or give them as a gift to someone you love. Whether giving them as a special anniversary present for you wife or girlfriend, or as gift of Valentines jewellery, these retro heart earrings are the perfect way to show your love.